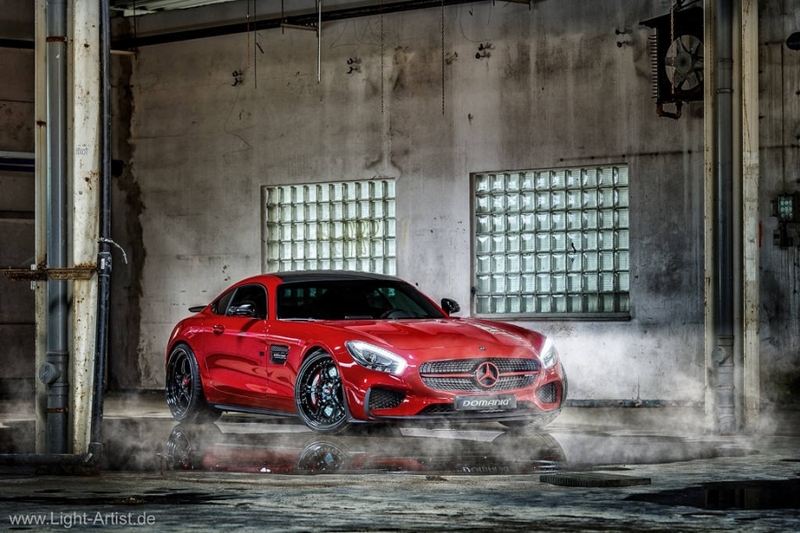 With the new Mercedes-AMG GT, the sports car segment is getting even more interesting. Shortly after the market launch of the new AMG sports car, the suspension manufacturer KW has already developed the first suspension applications. 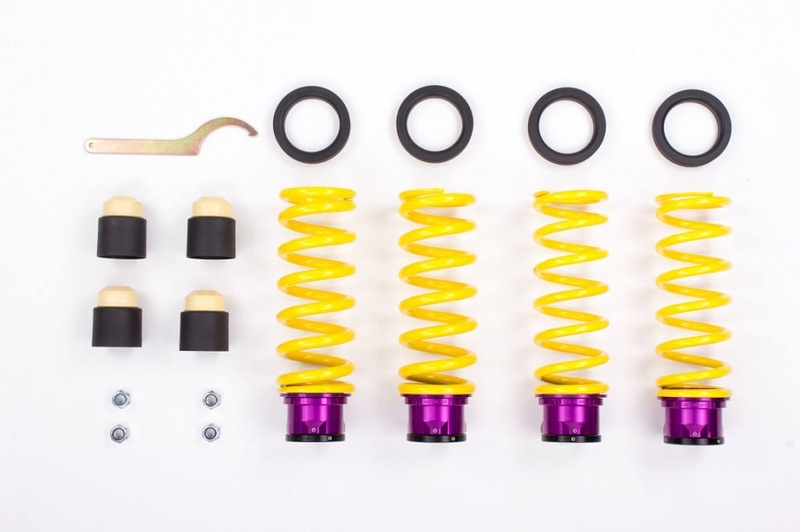 Unlike to conventional suspension springs, the KW coilover springs aka KW height adjustable springs (KW HAS) allow to adjust a continuous lowering, similar to coilovers. For the Mercedes-AMG GT and GT S, the adjustment range on the front and rear axle is up to 20 millimeters each. 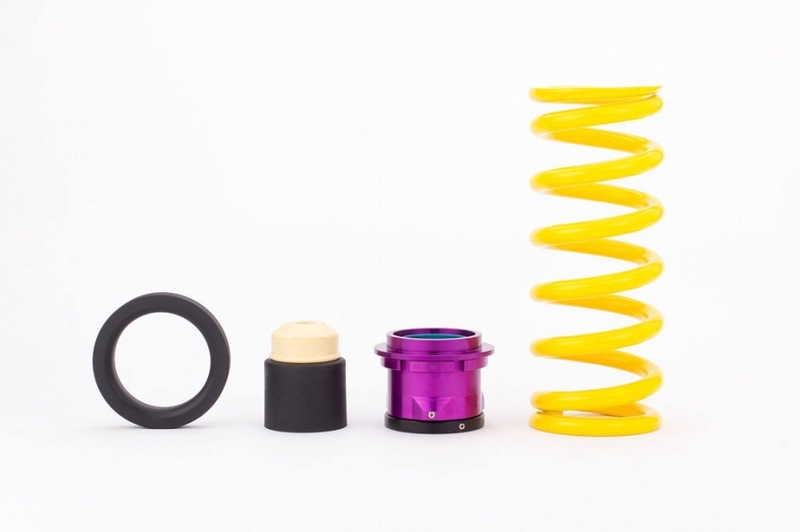 While conventional springs only allow a lowering of about 20, 30 or 40 mm, the KW coilover springs can be adjusted in height continuously. With regular springs, this would not be possible. When installing the height-adjustable springs, the series dampers as well as the damping control of the AMG GT can still be used. The KW dust protection elements and KW bump stops that are part of the delivery content, are always adapted to the lowering. So with the height adjustable KW springs, a sporty harmonious driving characteristic can be realized, without that the driving dynamics of performance-oriented vehicles suffers. Due to its axle construction, the new GT is the ideal candidate for our height adjustable KW springs”, says Johannes Wacker about the benefits of the coilover springs. 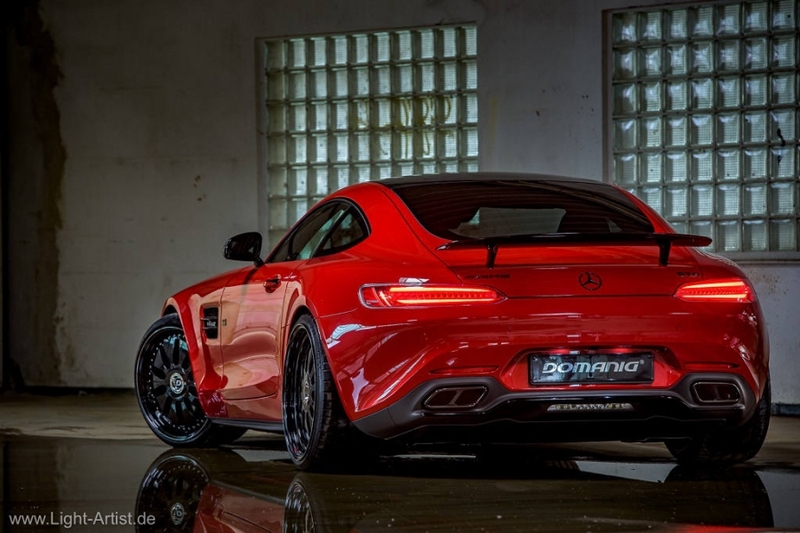 Our height adjustable coilover springs allow a lowering of 20 mm at the Mercedes-AMG GT. This means, there is enough free spring travel available to still drive the AMG sporty and also have a comfortable driving experience.